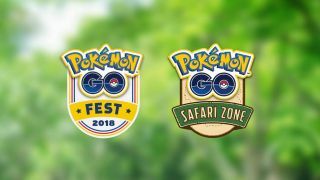 Pokemon Go Fest 2018 will be a much larger event that last year's inaugural offering. In fact, it's being packaged as part of a "Pokemon Go Summer Tour," which will kick off in Dortmund, Germany on June 30 and July 1 before returning to Chicago on July 14 and 15, and finally concluding in Yokosuka, Japan at an as-of-yet undisclosed date. Each location will offer something different for attendees. The Dortmund event is technically known as "Pokémon Go Safari Zone Dortmund," and will take place in Westfalenpark. Safari Zone events are a chance to capture rare Pokemon, or Pokemon which would not normally appear in the specified geographic region. This part of the tour will be free and open to all ages. "After getting off to a bumpy start in Chicago last year, we hosted a number of record-setting events in Japan, Korea, and cities across Europe with attendance that ranged from tens of thousands to more than two million," said Niantic CEO John Hanke in a press release. "Bumpy" is one way to put it. Another way might be to point out the numerous complaints: paying attendees were left waiting in lines for most of the day, the challenges amounted to little more than grinding, entertainment was sparse, and most egregious of all, the massive concentration of users in one location overloaded cell networks and plenty of people simply couldn't play. This was not a minor inconvenience or hiccup - people were pissed. Here they are chanting "We can't play," a refrain which popped up throughout the day, and became particularly loud (and mixed with booing) when Hanke took the stage. By the end of the event, Niantic refunded everyone's price of admission and gave those who bought tickets $100 worth of in-game currency. There's also a (pending) class-action lawsuit. And look, I don't bring this up to rain on anyone's parade. If you want to go, you should go, and have a good time. That said, I'm surprised Niantic is going to give Pokemon Go Fest another shot at all. Hopefully spreading the activity over a weekend instead of a single day, relying on whatever these "physical installations" are, and centering the event in a larger park (with rare Pokemon appearing throughout the city as well) will minimize the headaches players faced last year. If you want to see for yourself whether or not Niantic can make Pokemon Go Fest 2018 in Chicago an event worth remembering for good reasons, tickets go on sale May 11. Good luck out there, trainers!